Cambodia has a population of nearly 16 million. It is a predominantly rural country, with only 20% of its people living in urban areas. Phnom Penh is home to 1.7 million people. Debt plays a significant role in trafficking, as children from poor families become highly vulnerable to forced labor in order to repay their families debt. Guest Training - come and teach a class! Nomi International Fashion Training (NIFT) generates our most extensive and regular activities. Each year NIFT offers 12 different course modules, over 140 hours of training at our Incubator Center in Phnom Penh. The modules cover all aspects of fashion business including Market Access, Technical, Design, Logistic, Marketing, Finance/ Planning, and Personal Development. To maintain the highest training quality, NIFT has in-house experienced international trainers as well as guest trainers from the fashion and manufacturing industry. NIFT also offers selected course modules in Siem Reap and plans to expand to more regions across Cambodia. Three times a year, we host events to bring like-minded people together to share ideas, learn from each other and celebrate ones’ successes. In 2016, we hosted Nomi Network Fashion Incubator’s Launch Party in February and a Christmas Celebration in December where we created an intimate, inviting, and creative environment for participants to network, learn from each other, as well as engage in fun and creative activities. In June, our Incubator hosted the event “Behind the Scenes of a Fashion Powerhouse” with guest speakers from Macy’s and Tactical 5.11, who shared industry trends and expertise, as well as their own journeys to success. 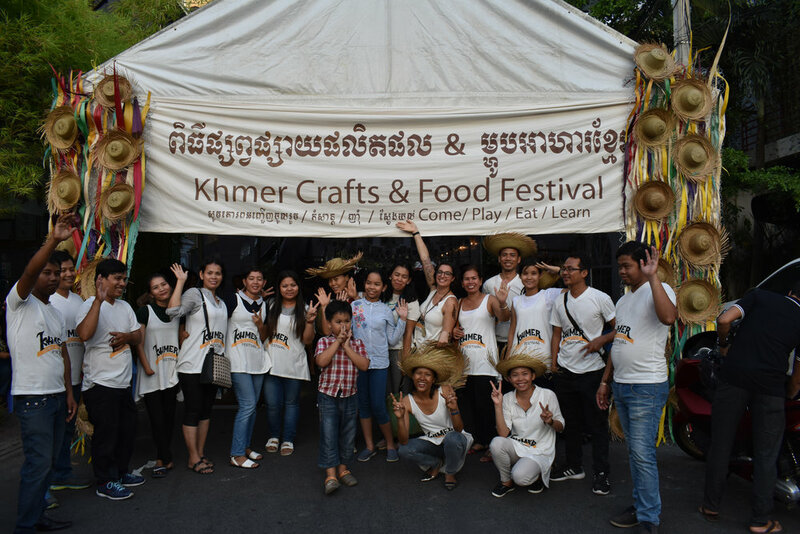 Recently, we have added events that promote both local fair trade handicraft sales, as well as connect local and international buyers to producers. Nomi Network Fashion Incubator offers various small grants and scholarships for both individuals and organizations within our network because we understand that in order for our producers to become sustainable and competitive in the market, they often require financial assistance to address their producers’ needs. These funds often go towards child care, staff training, capital improvement, and many other social issues which might not be covered by their current operational income. We currently work with and purchase from nine organizations that have demonstrated capacity or improvement in their production capability for the international market. We work closely with each organization every season to develop new, updated, and marketable products for international buyers. 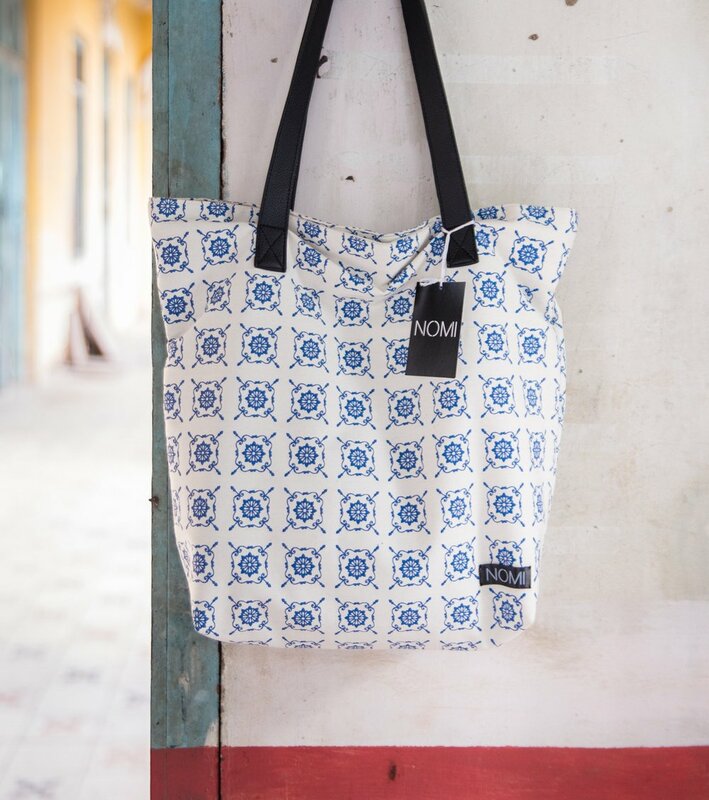 During each development process, Nomi Network Fashion Incubator’s experienced merchandiser provides one-on-one market, business, pricing and quality control consultancy for each organization. This is one of the longest-standing services Nomi Network provides its partners, available since inception in 2009. Each year, we continue to expand and look for new organizations to be part of our production and supply chain network. Coaching is Nomi Network’s Fashion Incubator’s newest initiative in 2017. We understand that sometimes our trainees and partners need more help than just the NIFT classes. Our experienced trainers provide onsite visits and coaching with clear monitoring and evaluation process in place. Our advanced curriculum equips non-profits and social enterprises that have production capacity with key fashion manufacturing skill sets, some of which include product pricing, retail merchandising, trend forecasting, and product development. Our specialty is providing one-on-one technical assistance, production assistance, and mentorship to local entrepreneurs that lead social enterprises which employ survivors and women at risk of human trafficking. As a result of our partnership, these enterprises develop and sell more products in the global marketplace, improve retail relationships, and grow their staff while improving their standards. Recently, those participating in our advanced training curriculum were surveyed by the Asian Development Bank and Nomi Network scored in the top tier for delivering impact. Through our programs, the following organizations have gained additional training and technical skills and/or the opportunity to co-produce products and receive distribution support. My name is Chaya. Since my husband passed away in a traffic accident 16 years ago, I have been raising my son as a widow. For the last 8 years, I have been working with Rajana Association as a sewer and pattern maker. I love this work very much because it helps me to learn a specific skill and build a long-term career while supporting myself and my son and his future. I want to have my own business in the future. Although I have many years of experience, I still face a lot of problems with my production such as: 1. I couldn’t understand or read the spec sheet, an industry sheet which provides detailed information on products from customers. Although I tried to interpret, based on my experience but the outcome often does not meet the standard or quality. 2. Sometime my cut pieces do not match when I start sewing them. I have to adjust each piece and fix the problems which takes a lot of time and the finish piece often still has a problem. 3. I often face quality control issue at the end as my finished products do not meet my expectation or original sample from the customer. Respectfully, I would like to say a big thank to my manager who has given me the opportunity to take NIFT classes, such as how to cut proper pattern, measure body and garment, learn to use industry standard tool, read spec sheet, check QC and get new inspiration to design new product. What surprised me the most is when I attended the NIFT training, the trainer was teaching and presenting the similar spec sheet of garment that I have been getting from customers. I didn’t understand or know how to read it before but now I understand and read it very well after just one day training. I also learn it’s a very important tool or sheet to track QC process and I am more confident now and know what I’m doing is more at industry standard and accurate. I would like to say thank you to Nomi for providing this very important training that helps me to fulfill my career and improve what I am doing and I wish to attend more training, especially in T-shirt and trouser design as well as other fashion items from NIFT soon.